My indecision regarding what to do first with my brand new level 85 character only lasted a few days. The obvious journey would have been to just go and finish the character off to 95. Where’s the fun in that though? For some inexplicable reason, i decided to start on my epic weapon quest. Looking over the list of tasks quickly brought me to the realization that i could probably finish the entire quest chain solo and rather quickly. That was until i saw the faction requirements. I’d like to take a huge axe to the person that came up with faction grind, i really would. It really wasn’t that bad once i got going though, and with all the repeatables, it went pretty quickly. I have to say all the running around wasn’t too bad, with the exception of all the back and forth nonsense usually associated with this kind of quest. I had a nice flashback of XI as i ran through underground sewers looking for specific mobs to kill. 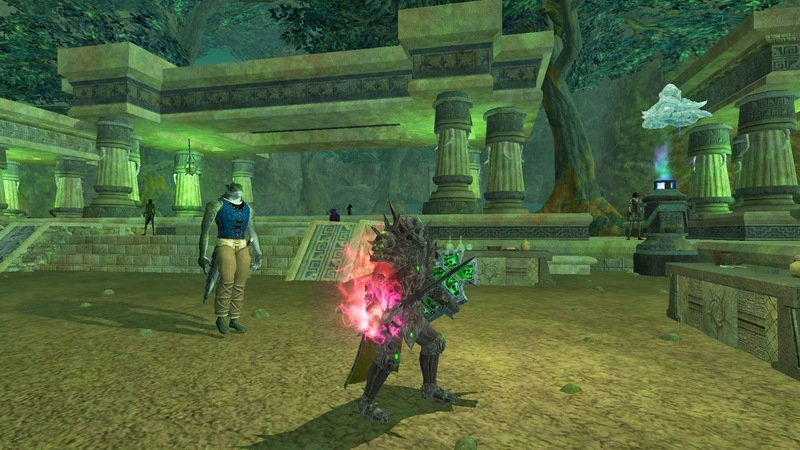 Why are these zones extinct in recent MMO’s? I absolutely love and hate them but an MMO is more fun overall with them. The only bit of trouble that i did have was at around the end of the chain. One of the parts required clicking of an object while a heroic mob was beating on me, which made it impossible without being interrupted. Other than that, i rather enjoyed the quest and the weapon as well. It’s a shame that the free weapons everyone received completely blows it out of the water start wise. The extra effects seem really nice though so hopefully they can somehow make up for them. I’m sure this is a rather silly quest for any EQ2 vet, but as a somewhat new player i enjoyed it still! Whether or not I’ll actually use it or continue on to the upgraded version is up in the air. If it’s possible without any actual raiding requirements, then I’m all in.